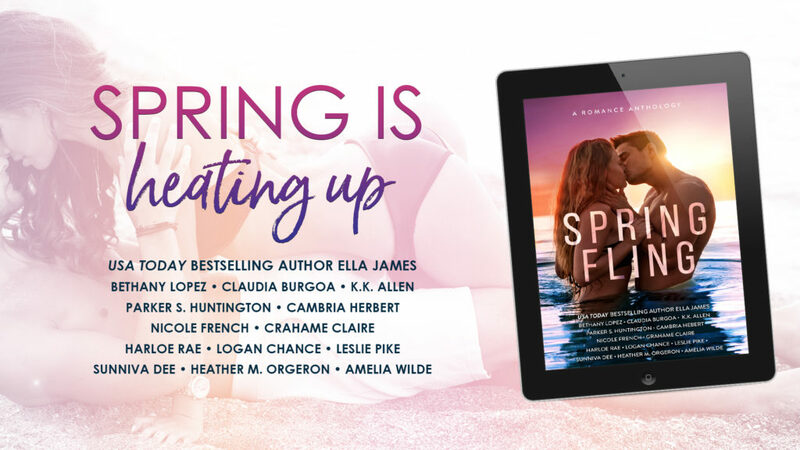 Today we are celebrating the release of the SPRING FLING anthology. Fourteen bestselling, award-winning authors have curated the hottest vacation stories just for you. Get it now for only 99 cents! Fling: (noun) a short period of enjoyment. I see you from across the room. Tall. Dark. Handsome. Everything I’ve ever dreamed of. You stare at me. Our eyes connect. I know you want me. And just for tonight, I’ll give in to temptation… A kiss. Your touch. One wild night. But when morning comes, I’ll be gone. Because everyone knows flings can’t last… Or can they? Warning: This spring is about to get wet. Fourteen authors. Fourteen never-before-seen novellas.